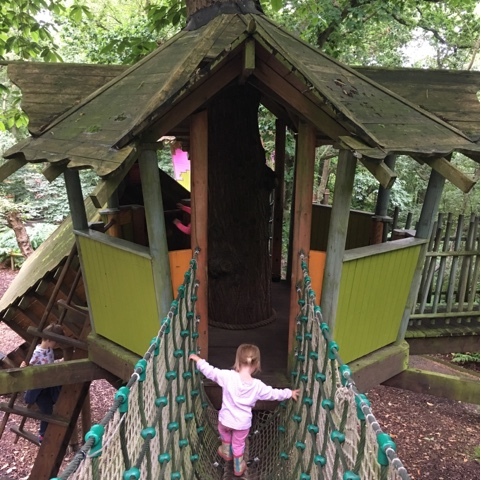 If you're looking for an adventure with your littles and not so littles then Bewilderwood is the place for you. We recently spent a day exploring all that this magical place has to offer. 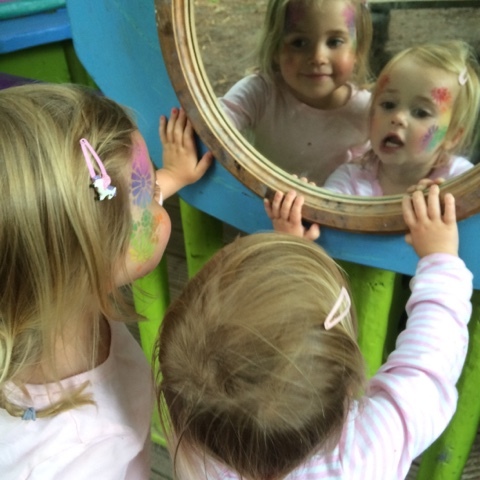 It's set in beautiful woodland in the Norfolk Broads and is totally geared up for families, catering for all ages. 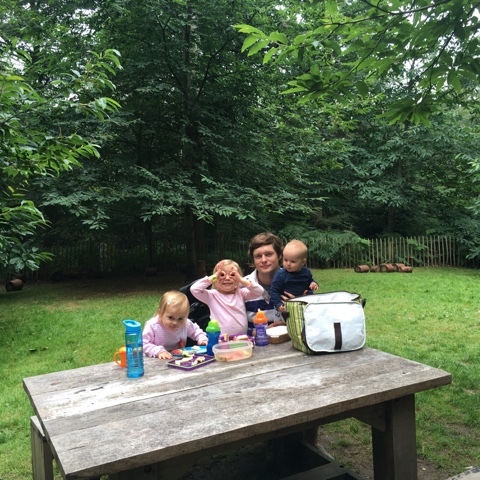 We love being outdoors and encourage outdoor play as much as we can. The little ladies are in their element in this kind of setting and can just be children. I really feel like they learn so much from playing outside about the world around them and it gives them a chance to let off some steam whilst developing lots of important physical skills. 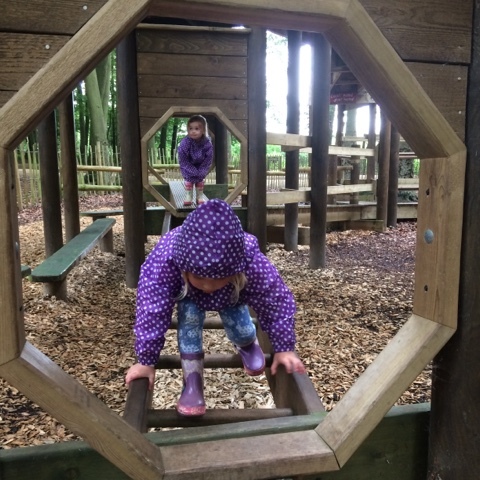 During our day at Bewilderwood the girls ran, jumped, climbed, swung and balanced. 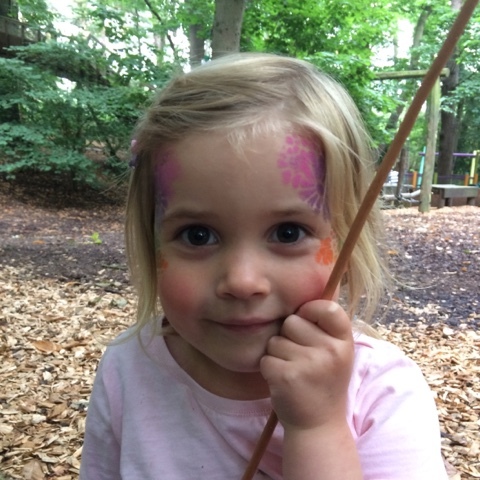 There were chances to be creative and sit and listen to stories and have their faces painted and also to loose themselves in the enchantment of the Bewilderwood stories of Boggles, Twiggles and Croclebogs. Above all a day at Bewilderwood is just such good fun and they can run as wild as their imaginations. 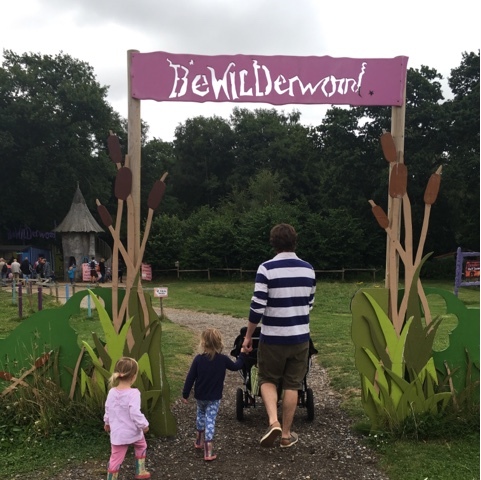 From the moment you arrive at Bewilderwood it feels so magical and like you are entering a special place. 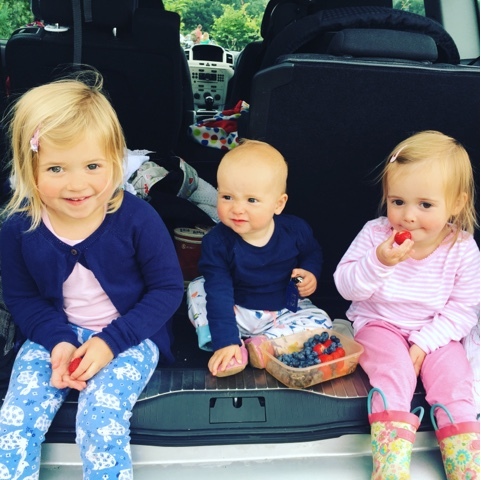 As a parent it's logistically easy with a huge free car park with plenty of space and a short walk to the entrance. All visitors are given wristbands as tickets and there is even a little spot to write an in case of emergency number on them should your little ones wonder off at any point. 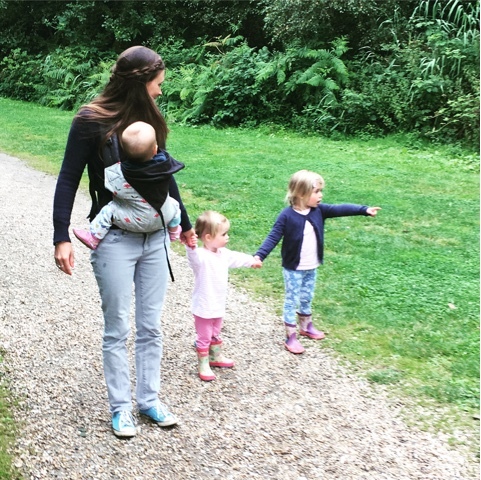 The wood itself is so well established with such lush vegetation and the walkways and paths (with plenty of room for our double buggy) just blend into it perfectly. It also means it's really sheltered and well shaded. 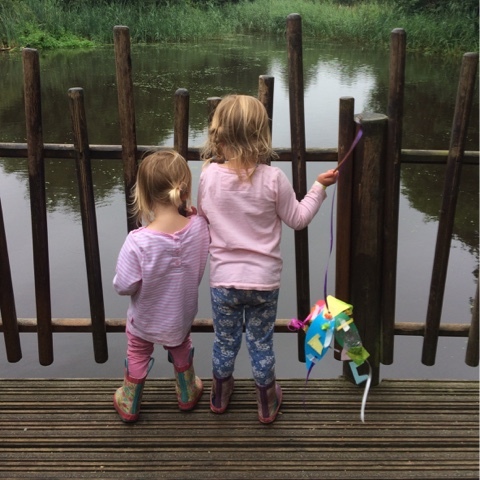 Little wooden houses are hidden in the tree tops and marshes which just set the girls imaginations alight and they were so excited when they spotted one. 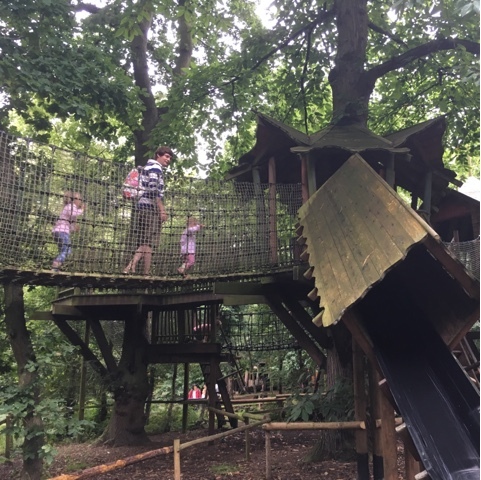 The wood is essentially an enormous adventure playground with so much to explore from treetop mazes to zip wires and slippery slopes to slide down. We arrived at 11am (the wood opens at 10am and left at closing time (5:15pm) and only just squeezed everything in so it really is a whole day out which I think demonstrates excellent value for money. 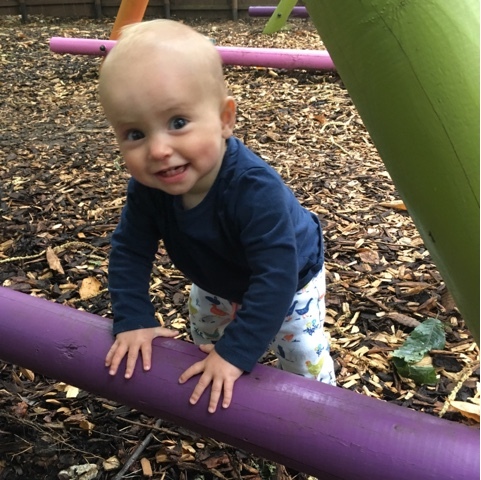 There are fantastic dedicated areas for little ones such as the Toddlewood playgrounds which are really accessible for them but they are also able to explore all the other parts of wood such as the 'Sky Maze' and 'Broken Bridge' treetop walks if they feel confident enough to do so. Miss Boo and Miss Tibs aged 4 and 2 happily climbed with ease and I really liked that there were several 'opt out' points along the route where they could climb down should they want to. This was also handy for me as I had Miss Dot in the sling and although most of it was accessible I didn't want to attempt the rather speedy slides to the ground with her. Miss Dot enjoyed the day as much as her sisters; there were plenty of swings to put her in and so much for her to look at, particularly as she loves trees. The equipment is so well designed, well built, super high quality and feels really safe. It also feels organic; like it has always been there and is part of the wood. 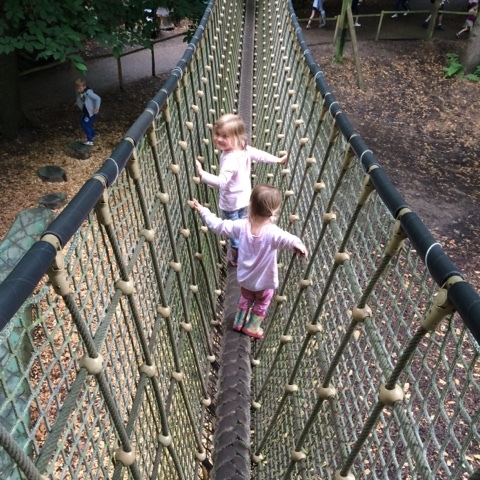 When you're climbing along the wooden rope bridges you can tell the children really feel like they could be one of the fictional Twiggle inhabitants of the wood. There are so many picnic benches and circles of logs to sit on and take a break or refuel located throughout the woods. 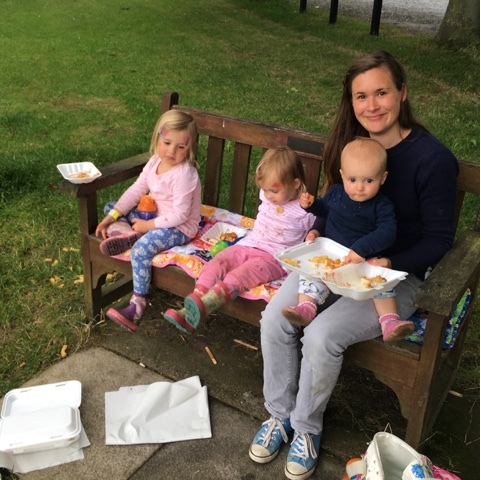 We took a picnic with us which we enjoyed in a quiet grassy spot behind the 'Big Hat' called 'Leaflette's Lawn'. There were also several refreshment points throughout the wood serving lovely quality food and drink. The girls has an absolutely delicious chocolate and marshmallow ice cream mid afternoon while we enjoyed a proper coffee. They really enjoyed listening and taking part in the story of the Boggles on the storytelling stage which included puppets and dressing up, two of their favourite things. 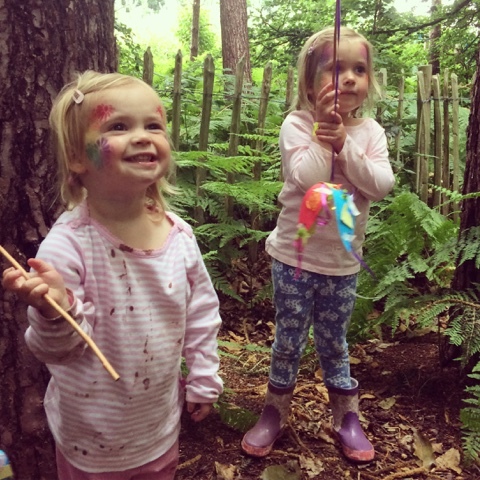 They also had their faces painted, a lovely touch and so fun to see all the children exploring the woods in their face paints. 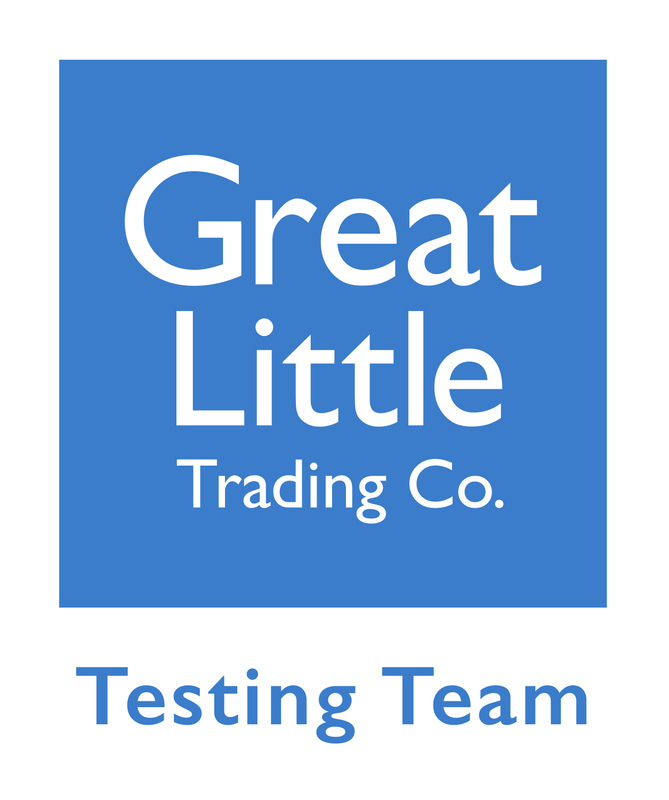 The staff were all so helpful, cheerful and friendly and although they must have made hundreds of twizzle wizzles and painted hundreds of faces by the time we got to them late afternoon their enthusiasm didn't faulter. 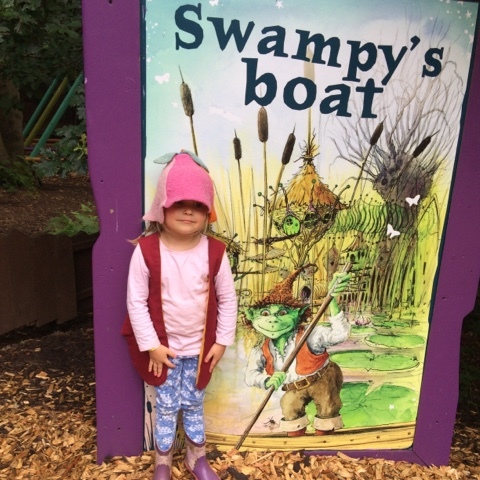 One of Miss Boo's favourite parts was a boat ride which takes you through the marshes to a jetty in the woods where you can learn a bit more about the characters that inhabit the woods, she loved it so much she insisted on going on it twice. There is a lot to explore in the woods and it covers a large area. There is a trail which you are given a question sheet for along with your map with clues to find in each section of the wood, this is actually how we came across our spot for lunch. When you leave at the end of the day and hand in your completed sheets the children can choose a Bewilderwood badge as a little memento which the girls thought was marvellous. This clever trail also ensures that you visit all the areas of the park so is worth doing. We visited the 'Sky Maze' last around 4pm which worked really well as it was much quieter in the wood which was very busy due to visiting in the school holidays. Despite being busy there was plenty of space for everyone and very little waiting for the girls to take their turn which is always good with young children. The end of the day arrived so quickly, we had so much fun, time just ran away with us. The girls didn't want to leave which I think is testament to what a brilliant day we had. All feeling slightly weary after lots of walking and playing we made our way back to the car. I'd say good footwear and suitable clothing for outdoor play equipment is a must. The little ladies wore leggings and wellies which worked well as there had been some wet weather and was a little muddy in places. Trainers would be absolutely fine too. 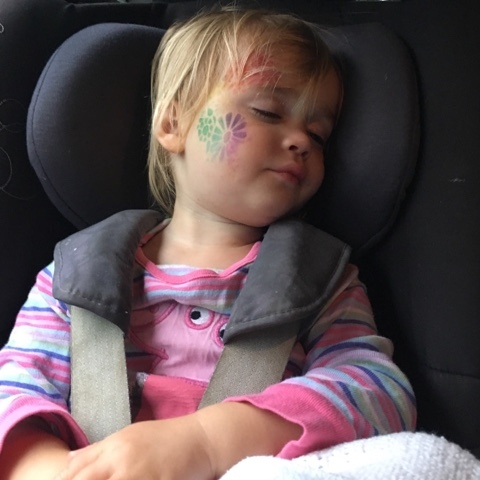 The little ladies had certainly worked up an appetite so after waving goodbye to Bewilderwood and its Twiggles and Boggles we stopped off in a nearby village for fish and chips before popping their pjs on and driving home, they were asleep in minutes with smiles (and paint!) on their faces dreaming of their adventures. 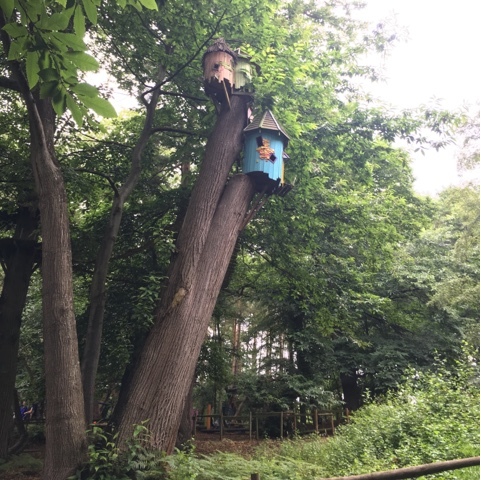 We'd really recommend Bewilderwood and had the most wonderful time together in the fresh air making some brilliant memories. I wondered if the little ladies were going to be too young to get the most out of it but they just loved it and are already asking when we can go again. 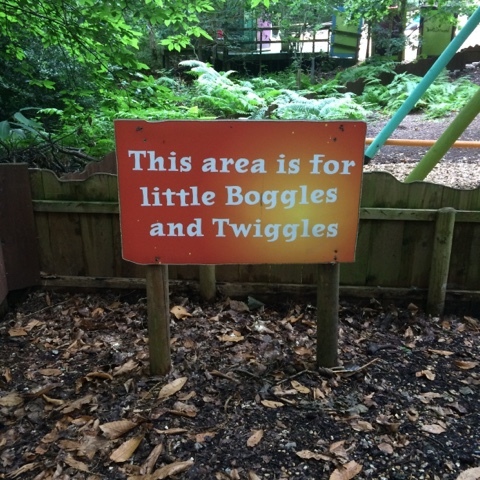 Bewilderwood kindly gave us tickets to the wood in return for an honest review. 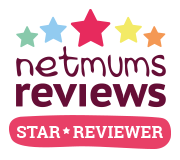 The review is my honest opinion of what we experienced during our visit.